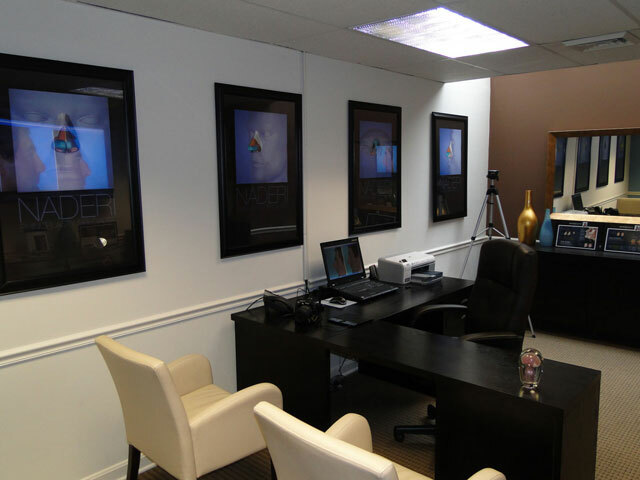 Shervin Naderi MD focuses on rhinoplasty and injectibles at the Naderi Center for Rhinoplasty & Cosmetic Surgery in Herndon, Virginia and Chevy Chase, Maryland. With his emphasis on Rhinoplasty, Botox, Dysport and filler injections, Dr. Naderi has other plastic surgeons referring patients to his clinics in Virginia and Maryland. We thought we should sit down and learn from Dr. Naderi what he thinks about running a cosmetic practice. That's interesting: Dr. Shervin Naderi is Board Certified Facial Plastic & Reconstructive Surgeon and ultra specialized in Rhinoplasty and minimally invasive facial injections. Hes' also a Board Examiner for the American Board of Facial Plastics & Reconstructive Surgery and a consultant and instructor for Allergan and Medicis, teaching Botox, Dysport and facial dermal filler injections to other physicians and nurse injectors. After your residency, what was your motivation to enter the cosmetic arena? I completed my residency in ENT-Head & Neck Surgery followed by a fellowship in facial plastic surgery at one of the world’s most highly sought after programs. I planned all along to become a Rhinoplasty specialist. Having the ENT background to truly understand the nose inside and out, followed by the cosmetic facial plastics fellowship training made the most sense. Where are your clinics located? What is your patient population like? I have two offices in the greater Washington DC area. One in Chevy Chase Maryland at the famous Barlow Building and the other in Herndon, Virginia just minutes from Tyson’s corner and Reston Town Center. Very clean, modern, ultra focused practice dealing with Rhinoplasty and facial injections. I have a small number of employees so that I can have ultimate control over how my practice functions. Large practices with many employees never appealed to me. My patient population is diverse. I get diplomats of foreign countries, musicians, federal employees from FBI to Secret Service, congressmen’s family members and doctors and their family member. I also have a large number of Plastic Surgeons who refer complex nose jobs to me and bring their own family members to me for rhinoplasty. We get soccer moms and young teenagers and college students and older retirees. I get school bus drivers and carpenters and stay at home parents and engineers. All sorts of people just want to look and feel better. Up to 20% of our patients fly in from other states or countries for Rhinoplasty but occasionally even for Botox and filler injections. Can you tell us more about our staff? What are their compensation plans? I have a very focused and specialized practice so I do not need lots of staff. I have kept it small and have trained them well so they are an extension of me, my motto and my practice. Most doctor’s offices are either too big to maintain control of their staff’s training and behavior or they simply throw them into their job position without the proper training and nurturing. My staff are like my family members and I care for them and they care for me and my practice. They get a flat hourly rate plus commission. I have learned this method works best with the right personnel. I had to fire one of my most valuable staff members because she started to not be a team player and her presence was becoming problematic. You cannot hesitate to fire even your most valuable staff if you have to but be more careful when hiring in the first place. I know that you have used a number of cosmetic lasers and IPLs as well as Thermage. What are your thoughts on these devices? How do you attract new patients to your practice? A large number of my patients come to me from referral from other local Plastic Surgeons who rather not do Rhinoplasties and send me the nose patients. This is rare but I’m lucky to get this vote of confidence from so many great local plastic surgeons mainly because my practice is focused on Rhinoplasty and I don’t take other patients away from them. I also get lots of word of mouth from happy patients who refer their friends and relatives. But marketing in local magazines and internet is also a part of the picture in order to reach a larger patient population. The internet also allows me to educate potential patients before they even come to see me so when they arrive for their consult, they come full of information and great focused questions. What services are most profitable? My practice is very unique in that 95% of my practice is focused on 2 things exclusively: Rhinoplasty and minimally invasive facial injections like Botox and Restylane and Juvederm. Obviously rhinoplasty has the higher profit margin but when you consider the number of hours I spend with each patient before and after their rhinoplasty the numbers don’t look so great. That is why I don’t look at the profit. My wife often tells me “looks like you went into Facial Plastics to make a name not make money!” That may be very well true. Practices that buy multiple lasers and have multiple ancillary staff treating patients with the lasers bring in much more money and profits. Even with injectables, the practices that hire several nurses to administer the botox bring in more money but for me, I do all of my own botox injections because I like to have that artistic control and I enjoy the procedures. If you want to make lots of money then you should have low prices, hire ancillary staff or associates to perform injections and lasers and you can spend most of your days on the golf course. For me I like spending time with my patients and I like what I do too much to give that up. There are a few doctors in this field that are simply concerned with the bottom line. Their practices are more like car dealerships than medical offices. That was not the reason most of us went into medicine. We went into medicine to help people and that attitude and goal must continue. In cosmetic surgery the practice is like a business but it should be run like a hospitality business where taking care of the client and serving the client should be of utmost importance. “Bedside manners” of the doctor and the staff are crucial. But the practice should also be a medical practice where the foremost goal is “to do no harm” and to help the patient. The goal of some cosmetic doctors these days is to “sell” as much botox or Restylane as possible or get as much out of their expensive laser purchases as possible. This is not the way I grew up seeing my parents care for their patients and I never wanted to have such a high pressure, sales-driven, factory-type practice. If your number one goal is taking care of the patients, they will trust you and come back to you and form life-long relationships with you and that leads to happiness and a great practice with a great reputation. What advice would you give to other physicians based upon your experiences? Live in the city you want to live because happiness comes from enjoying life and not necessarily having a busy booming practice. Do good work and never stop learning and improving. Do not be arrogant. Be your own work’s harshest critic. Only perform what you feel comfortable doing and are good at doing. Do not let money drive your practice. Let results and desire to see smiles on your patient’s faces motivate you. Have fun and be compassionate and honest and do not let your job affect your relationships with your family or your staff or your patients. Be a great human being first and foremost and a healer second and a businessman third. 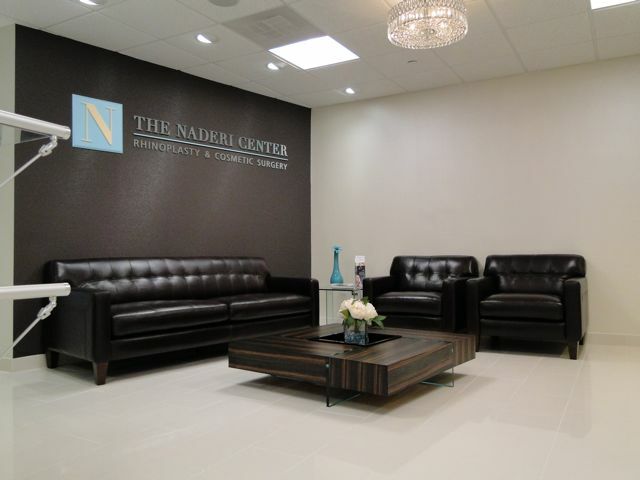 About: Shervin Naderi MD practices at the Naderi Center for Rhinoplasty & Cosmetic Surgery with two locations in Herndon, Virginia and Chevy Chase, Maryland with a special emphasis on Rhinoplasty, Botox, Dysport and filler injections. Dr. Naderi was recognized by the National Institute of Cosmetic And Plastic Surgery Research as an outstanding cosmetic surgeon. He is a clinical assistant professor of Facial Plastic Surgery at the Indiana University School of Medicine Department of Head & Neck Surgery. Guest lecturer at George Washington University School of Medicine Department of Surgery. Author of multiple chapters in major facial plastic surgery and head and neck surgery textbooks on nose surgery (revision rhinoplasty) and facelift surgery (rhytidectomy) techniques. Author of multiple medical papers, the most recent of which was on new techniques in lower eyelid (blepharoplasty) surgery, which he presented at the AAFPRS's annual meeting in Los Angeles, California.